Yes, I agree, beyond. Beyond meaning and beyond knowing, but not away from. Trees and nature have the power to heal us. Trees are medicine. This book documents the enormous benefits that we receive from being with trees and in nature, benefits that have been proven by multiple scientific studies. 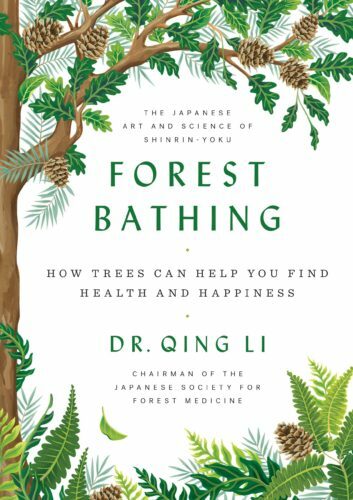 Dr. Li explains that the practice of forest bathing, or shinrin-yoku, means taking in the forest through all of our senses—simply being in nature and connecting with it through the body and mind. He further explains: “Shinrin-yoku is like a bridge.” Opening our senses in this way dispels the gap between ourselves and the natural world around us. As the sense of separation begins to evaporate, we are in harmony with nature. We can begin to heal. This is my experience. I purposely walk in nature almost every day. Whether strolling in my neighborhood where the majestic, old oak trees form a canopy over the street, traversing the San Gabriel Mountains, or walking along my beloved Arroyo Seco, I am always struck by how nature captivates me and instills a sense of well-being. I find myself in awe and wonder. There is no seeking on my part, it is just a product of the moment as I recognize I am in forest-bathing samadhi. Dr. Li cites a wealth of data proving the benefits of forest bathing—the key point being connecting with nature through all of your five senses. 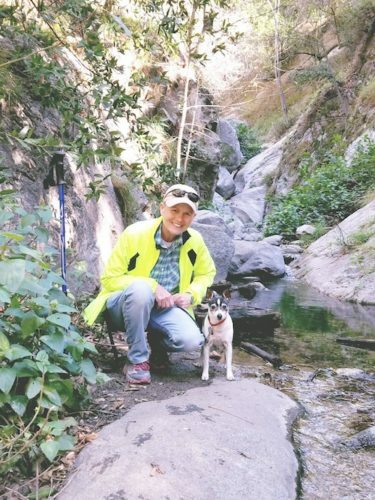 I was recently hiking in the San Gabriel Mountains with my dog, Bronco. The mountains were lush and green with wildflowers blooming in breathtakingly brilliant colors along the trail. I was acutely aware of the sensation of the dirt and rocks beneath my feet, the sound of crunching earth with each step, the song of a nearby bird, and the soft roar of the wind sweeping through the canyons. Each sensation was so exquisite and sweet it would stop me in my tracks. As I started out again, the air filled my nostrils with the scent of pine and sage. Again I was jolted to a stop as my eyes took in the waterfall cascading down into the canyon, cutting through and smoothing the rock of the vast mountain reaching up to the blue sky. Wonder, joy, and deep appreciation. I highly recommend forest bathing. And the book is good, too!